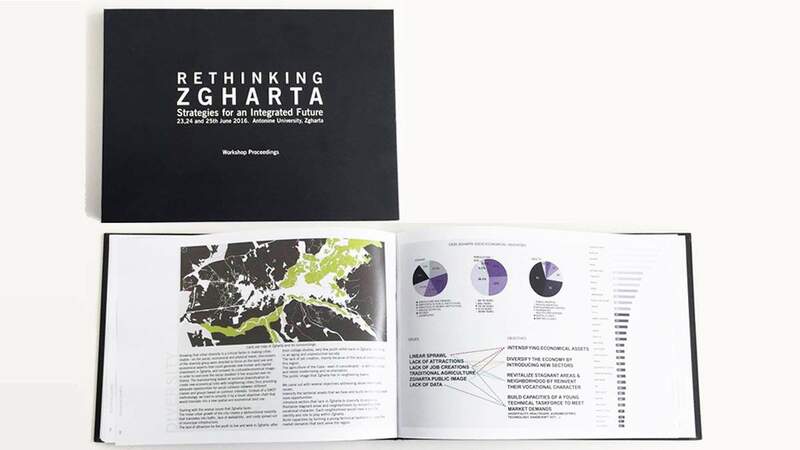 Rethinking Zgharta Workshop proceedings are published. the proceedings documents the workshop which took place on 24th, 25th and 26th of June 2016, and presents the public program, speakers and abstracts, and the outcome of the five focus groups who worked on the themes of connectivity, cultural identity, ecology, diversity, and livability. Organized by platau after a preliminary strategic vision done for the municipality, the workshopwas devised to widen the discussion around the future of the city and offered a new type of platform in which experts, students, and professionals came together to brainstorm for integrated strategies for the city. The workshop's outcomes were submitted to the municipality , with numerous project possibilities that are choregraphed within a integrated strategic future.